For harp players, this may come as an exciting revelation. 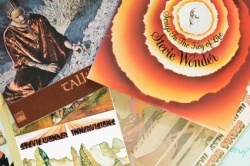 Stevie Wonder is of course synonymous with Chromatic harping. Chi-Lites, Eurythmics, Sting and Elton John (amongst many, many others), have all embraced him on their recordings. But Little Stevie started on the diatonic – albeit a four hole Little Lady – and listened to the likes of Jimmy Reed and Little Walter. He went on to lead the school harmonica band, before eventually falling in love with a Chromatic given to him by an uncle. 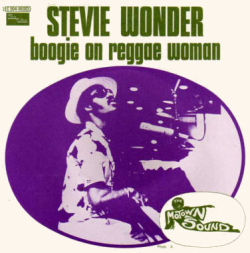 Arguably, Boogie On Reggae Woman has it’s roots in Wonder’s 1972 song Sweet Little Girl. There he uses a bluesy F# diatonic in second position, to explore a boogaloo groove. Also that Moog synth is in the mix, providing another heavy bass line. 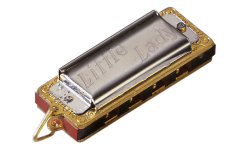 In his homage to the the harmonica, Harmonicas, Harps amd Heavy Breathers, Kim Field refers to the harmonica line on Boogie On Reggae Woman as textbook Jimmy Reed diatonic playing. He also points out that Stevie Wonder acknowledged Jimmy Reed in one of his 1974 Grammy acceptance speeches. Certainly Stevie Wonder uses the same upper register configuration popularised by Jimmy Reed, but he warps it into a new dimension. 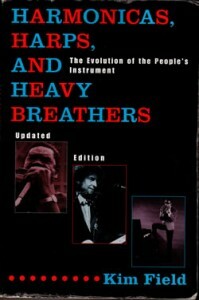 Simply by injecting some unique phrasing and altered rhythm, it becomes soulful. For my money, Gary Primich probably spotted this too. 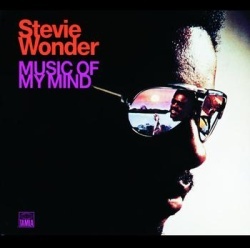 On his 2002 Dog House Music album, he recorded the title track Dog House and echoed Stevie Wonders soul fixing delivery on the upper blow bends. He uses a Bb diatonic. Time to get down to business. You’ll need an Ab diatonic to play along. This is a lower register diatonic harp, which allows us greater control on the blow bend reeds. If you don’t have one handy, get one ordered and check out the following background information in the meantime. For instruction on how to blow bend visit our Harp Skills page. 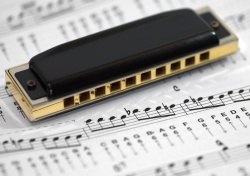 You will also find our three part series on exploring 1st Position Blues Harp useful. Using an Ab harp, Stevie Wonder first pitches in on the harp at the 2:18 point and delivers a 30 second solo. He comes in a second time after the Moog solo at 3:45 and continues soloing on the harp for a full minute before the song fades out. Here’s the tab and sound files for the 30 second solo. ~8B denotes a bent, or scooped, note into 8 Blow. 6D’..6D 7B Can I Play?!! ~8B..9B..~8B 8B’..7B ~8B..~8B..7B Can I Play?!! Now you have the feel for it, listen to the final minute-long solo for yourself and mess around on the top end of the harp. You’ll notice even Stevie’s lines get a bit ragged at one point, before he momentarily revises his input and simplifies things.